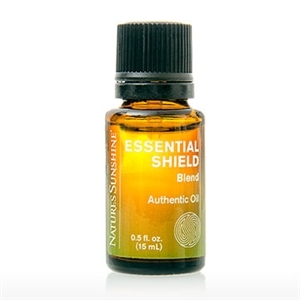 Essential Shield is terrific topical essential oil blend that contains pure essential oils of clove, cinnamon, thyme, eucalyptus, grapefruit, lavender, rosemary, lemon, pine and peppermint. 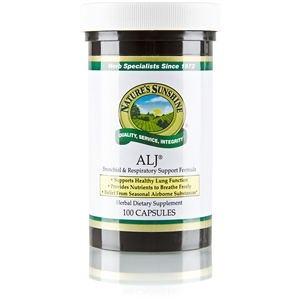 Pure essential oils of clove bud (Eugenia caryophyllus), cinnamon bark (Cinnamomum zeylanicum), thyme leaf (Thymus vulgaris), eucalyptus leaf (Eucalyptus globulus), grapefruit peel (Citrus x paradise), lavender flower (Lavandula angustifolisa), rosemary leaf (Rosemarinus officinalis), peppermint leaf & flower (Mentha piperita), pine needle (Pinus sylvestris), lemon peel (Citrus x limon). Dilute 1-3 drops of essential oil per teaspoon of carrier oil. For External use only. Keep away from eyes and mucus membranes. Not for use during pregnancy or children under 2 years of age. Keep out of reach of children.